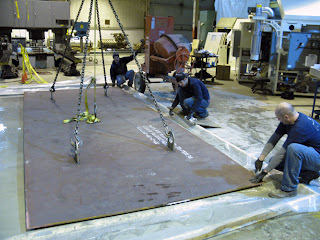 We had some fun last week installing a 20 foot x 16 foot steel pad that is level to 0.010”. We used our FARO TRACKER to check the installation levels – a bit extreme use of such a tool. The idea is we looked for months for large platens with no success. 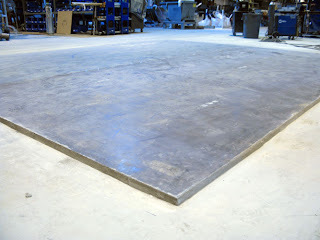 So we selected a portion of our shop floor, surveyed and shimmed it so when we laid two 8’ x 20’ sheets into the grout surrounding the shims, we would have a good welding platform for our fabrication. 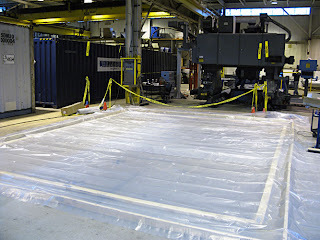 We are now doing all fabrication in house.